Official speaker was Danilo Türk, PhD, the President of the Republic of Slovenia, who stressed the Memorial Park Dobrava presents an important part of Slovenian history and a symbol of our collective memory, where unique stories about the history of an individual, of towns and nation are laid. The ceremony was also attended by Franc Kangler, Mayor of Maribor, Lidija Pliberešk, Msc, the Director of Pogrebno podjetje Maribor and the President of ASCE, Suzana Žilič Fišer, PhD, the Director of Public institute Maribor 2012 and many other politicians, diplomats and ambassadors from Cyprus, Greece, the United States, Great Britain, Italy, Russia, Montenegro, Australia, New Zealand, Czech Republic, Slovakia, Hungary, Germany, Lithuania, France, Croatia, Bosnia and Herzegovina, Ukraine, Serbia and Poland. Pogrebno podjetje Maribor runs a large project “War Graves”, which also includes the »Memorial park Dobrava«. The project wants to present war graves to the public as an element evoking memory and presenting the past without any ideological dimensions. 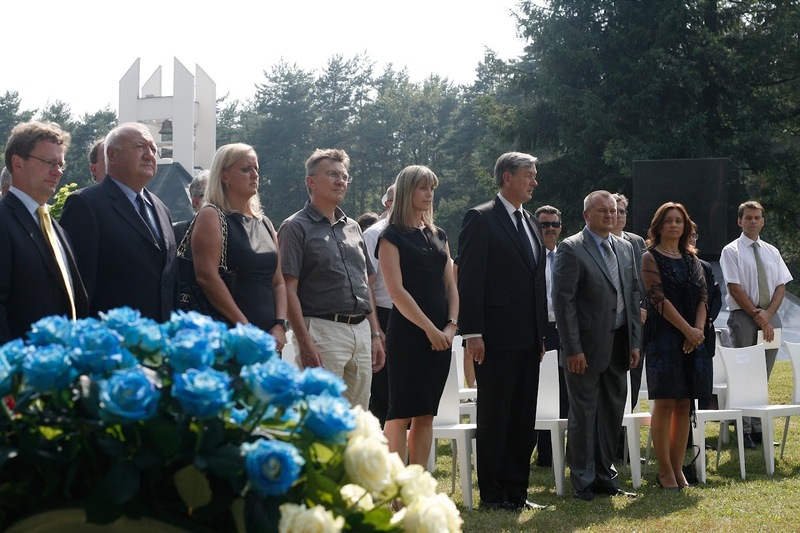 The arrangement in the form of a park dedicated to all war victims in the Maribor area will mean a transition from an anonymous grave to a cultural monument or an area of cultural heritage, which is reflected through a higher level of public interest. The right to human dignity and piety towards war and postwar victims bring the issue of graves more and more to the fore. 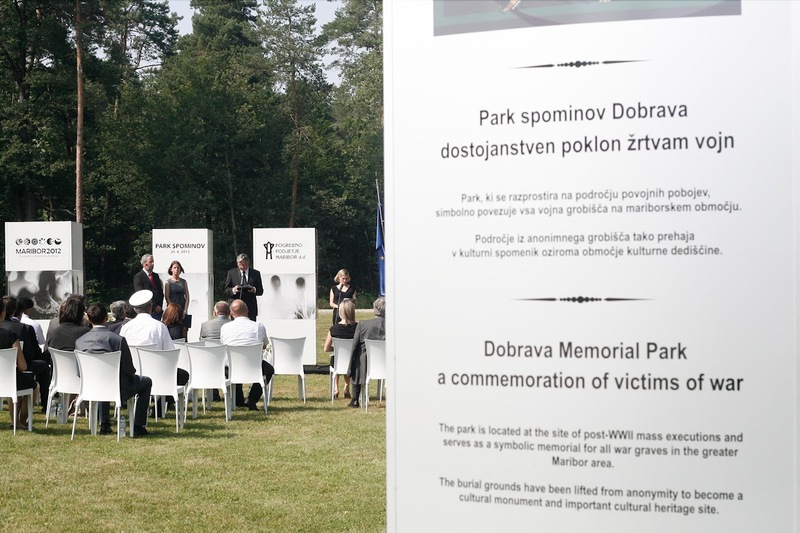 The memorial park will be divided into three sections: graves from the World War I and World War II in the Pobrežje cemetery, and graves of the war victims after the Second World II in the village of Dobrava near Tezno. It is estimated that approximately 45.000 people got executed in the tank trench by the forest. The anonymous graveyard is thus transitioning into a cultural monument, which reflects a higher public interest. The opening accompanied with words of noble Slovenian poets: Andrej Brvar, Miljana Cunta, Alojz Ihan, Aleš Šteger, Tomaž Šalamun, and Ciril Zlobec.